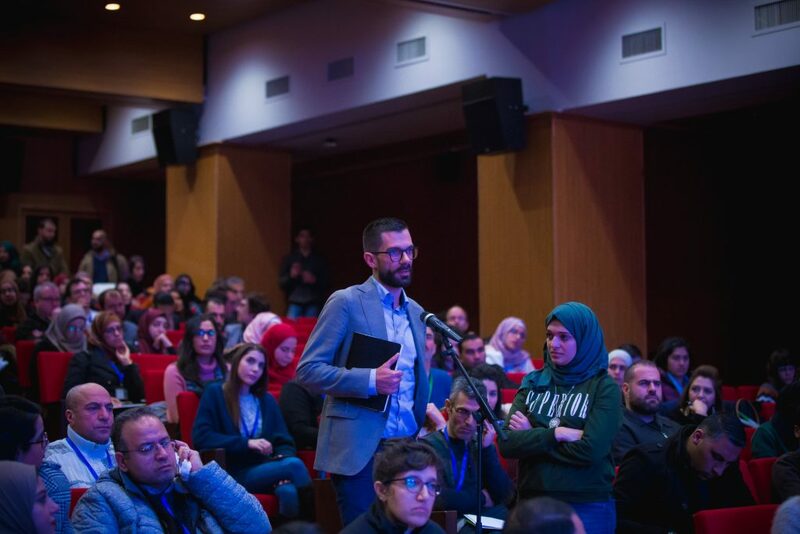 7amleh – The Arab Center for the Advancement of Social Media concluded the activities of the Palestine Digital Activism Forum 2019 with the attendance and participation of more than 700 specialists, human rights activists and stakeholders in the field of digital rights and more than 30 speakers and trainers. 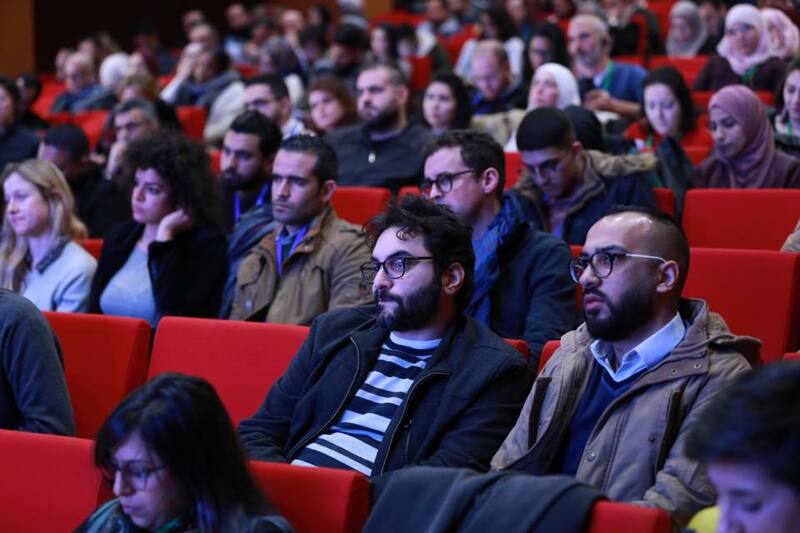 7amleh – The Arab Center for the Advancement of Social Media concluded the activities of the Palestine Digital Activism Forum 2019 with the attendance and participation of more than 700 specialists, human rights activists and stakeholders in the field of digital rights and more than 30 speakers and trainers. 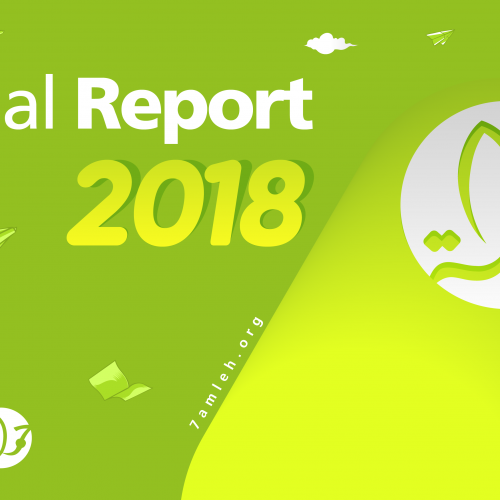 The event was held in cooperation with regional and local government institutions, representatives of the private sector, major international companies and institutions in the field of digital rights and digital security, and in partnership with more than 12 academic and civil institutions. 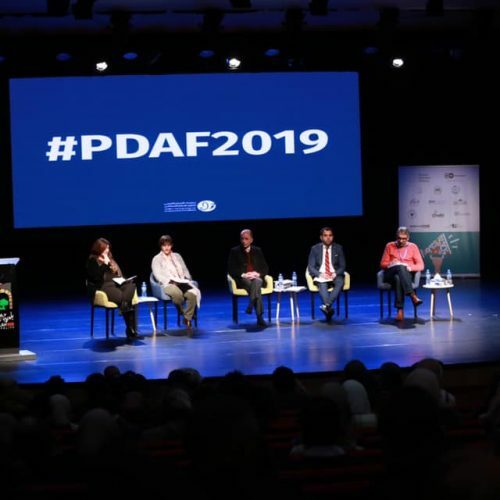 The Forum has become an annual event held for the third consecutive year, distributed on three days of panel-discussions, inspirational speeches and over 20 workshops from Haifa in the north to the Gaza Strip in the south. The first day consisted of panel-discussions which were held in three sessions: the first discussed internal challenges of Palestinian digital freedoms and the threats posed to the digital sphere through Israeli laws. The second panel focused on international trends in the defense of digital rights and their reflection on the Palestinian context, and the third showcased inspirational experiences on digital tools for social change. In between these sessions short inspirational talks were held on by Rawan Damen on her experience defending the Palestinian issue digitally, and the founders of “Hashtag our Stories” project Yousef and Sumaiya Omar on selfie-videos. To see the full programme click here. 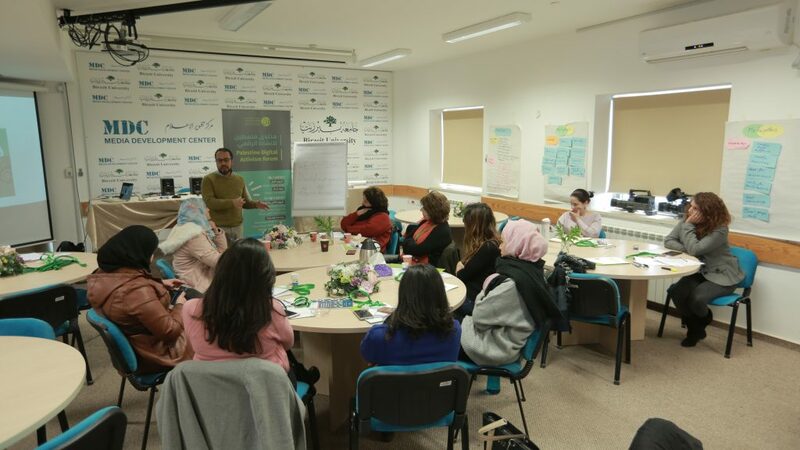 More than 20 workshops with 14 trainers were organised throughout historic Palestine in cooperation with partner organisations. The workshop content was agreed on with the 14 international and Palestinian academic and professional institutions according to the specific needs in this area and the partners (see further down for all our partners). 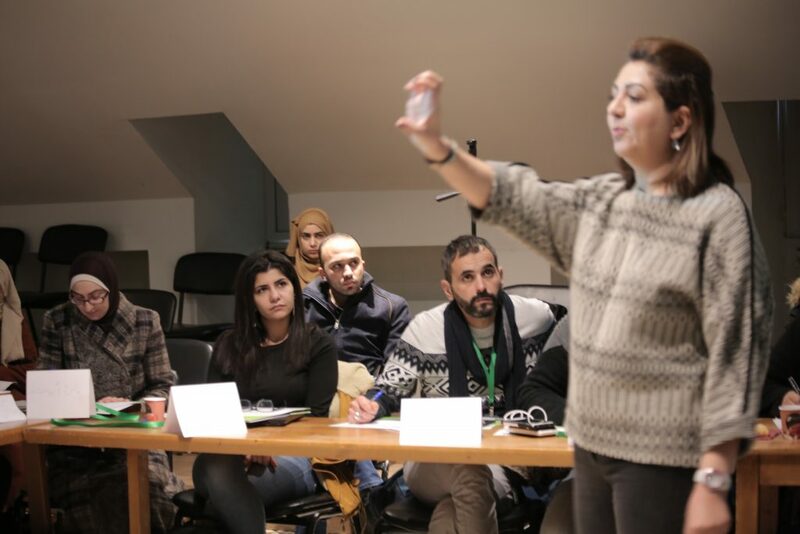 The workshops covered topics on a broad range of digital activism and digital rights such as mobile journalism, photography for social change, managing campaigns and online gender-based violence. For the full programme of the second day workshops click here, for the third day workshops here. 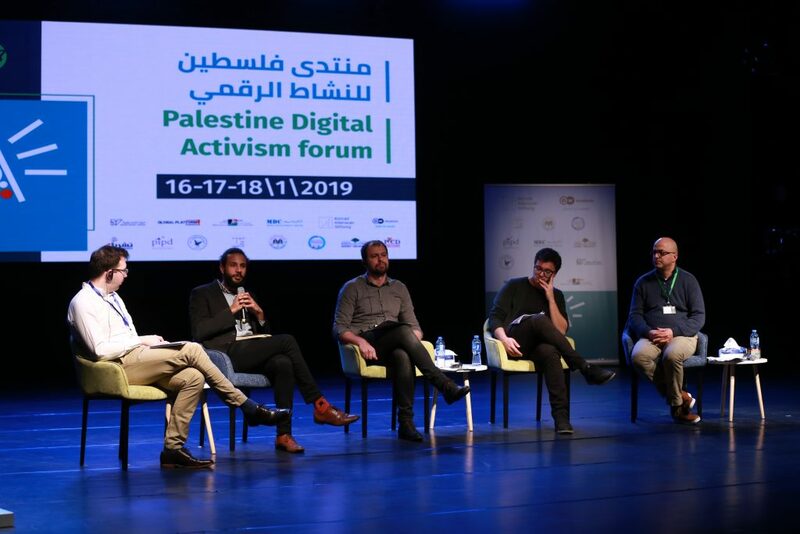 The Palestine Digital Activism Forum will continue bringing digital rights issues to the forefront and raising awareness of the Palestinian public and local and international digital and human rights organisations in Palestine in it’s next round in the coming year. 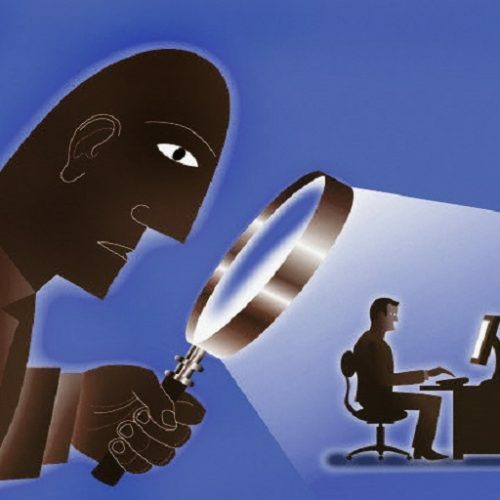 It remains important, particularly given the threat to digital rights by Palestinian and Israeli sides, to advocate for an understanding of digital rights as part of human rights, such as freedom of opinion and expression online and the right to access the internet. Deutsche Welle Academy, Konrad Adenauer Foundation, The Arab American University in Jenin, An-Najah National University in Nablus, the Center for Media Development at Birzeit University, Tishreen Association in Taybe, NGO Network and the Palestinian Institute for Public Diplomacy and the Council of Human Rights Organizations in Ramallah, Palvision & PYALARA in Jerusalem, Global Platform and Badil Center in Bethlehem, Social Media Club in the Gaza Strip .